Stock Number: S1026C, Price: $ 45.00. 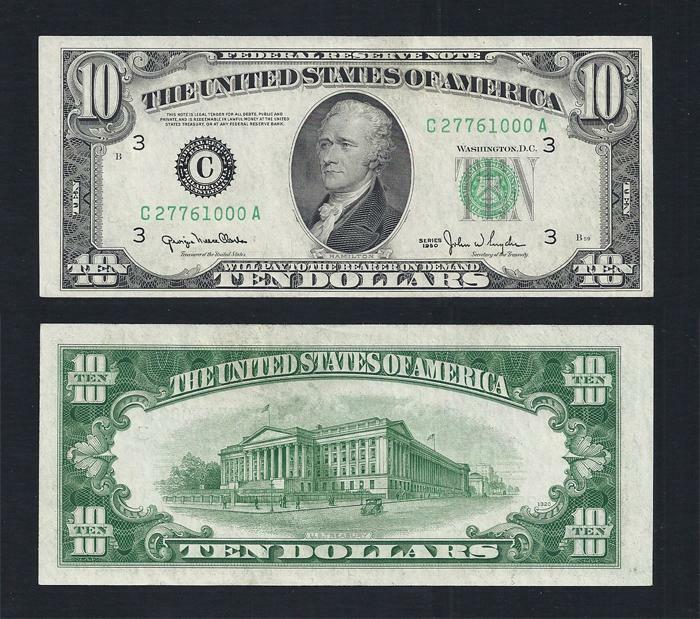 $10.00, FRN, Series of 1950, Fr. # 2010-C, Serial Number C27761000A. CHOICE UNCIRCULATED. Graded Choice Uncirculated due to uneven centering. The paper on this Philadelphia Fed is so crisp it "crackles".